YEREVAN, MAY 15, ARMENPRESS. Armenian Prime Minister Nikol Pashinyan on May 15 visited the finance ministry where he introduced newly-appointed minister Atom Janjughazyan to the ministry staff, reports Armenpress. 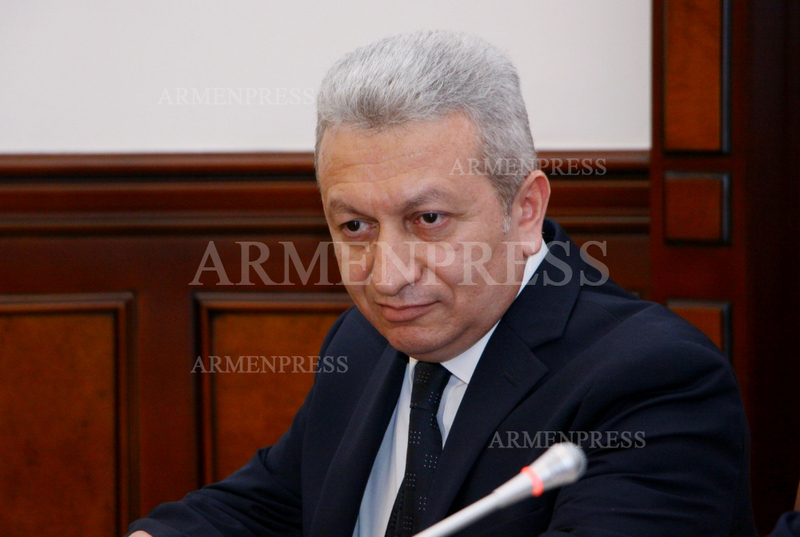 Previously Atom Janjughazyan was serving as first deputy finance minister and chief treasurer. 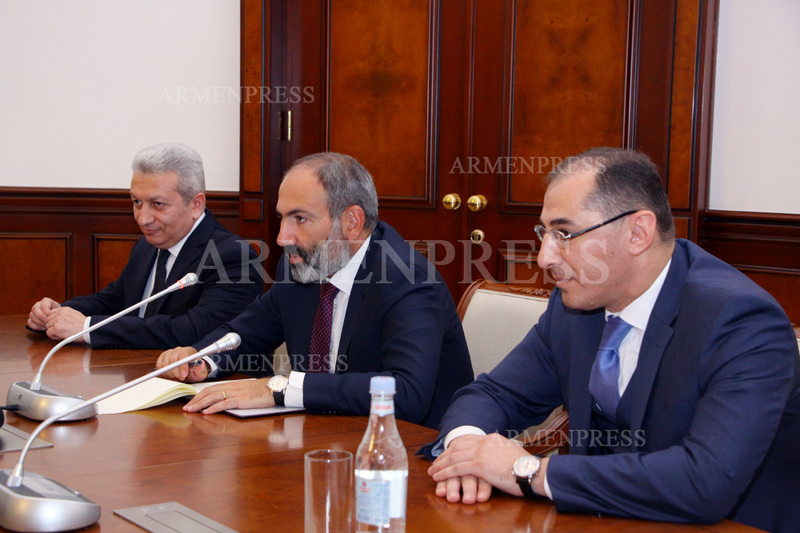 The meeting was also attended by former finance minister Vardan Aramyan. 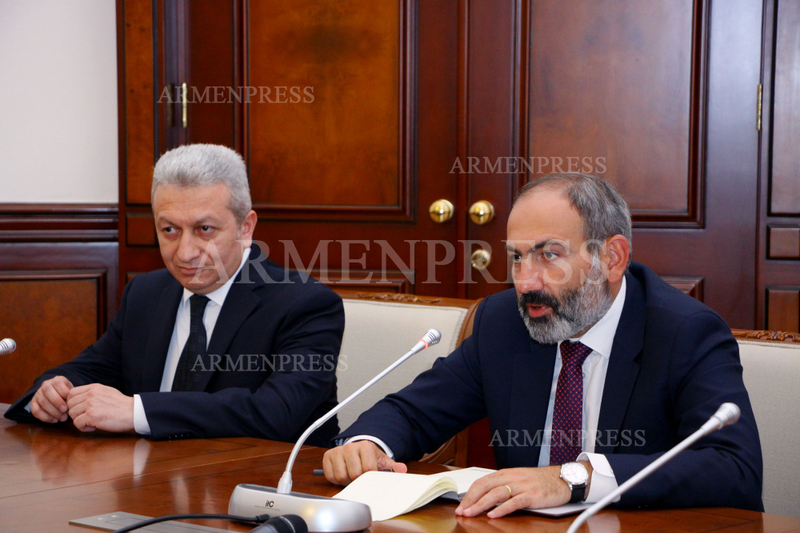 PM Pashinyan thanked Vardan Aramyan for the work carried out so far. “Mr. 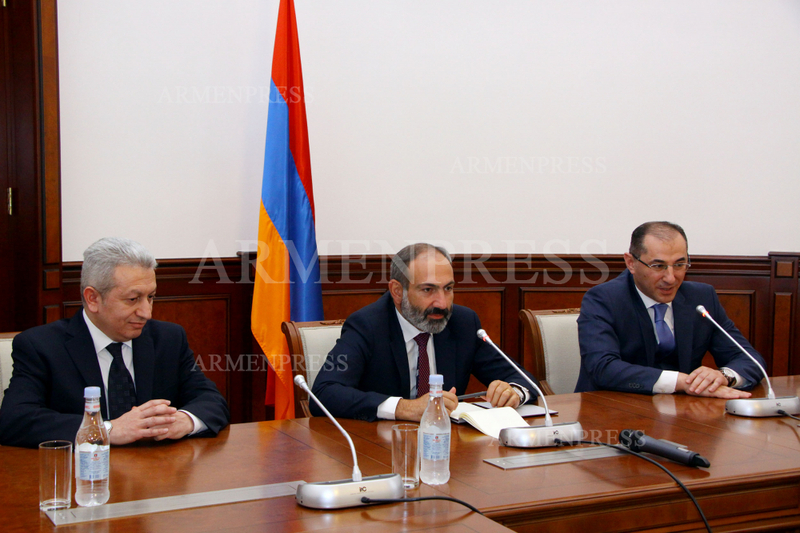 Vardan Aramyan and Mr. Atom Janjughazyan are persons who pleasantly surprised me after I became a Prime Minister. It was pleasant to listen that the financial system has operated normally despite the tense domestic political situation. I hope we will be able to overcome the sense of panic soon. For the future we have a task to properly present the state budget, mid-term expenditure drafts. I am convinced that you, Mr. Janjughazyan, can properly implement this work”, PM Pashinyan said. 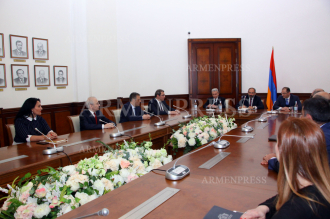 Addressing former minister Vardan Aramyan, the PM said: “I consider you as a professional person, I am convinced that you will do everything to assist the new minister”. 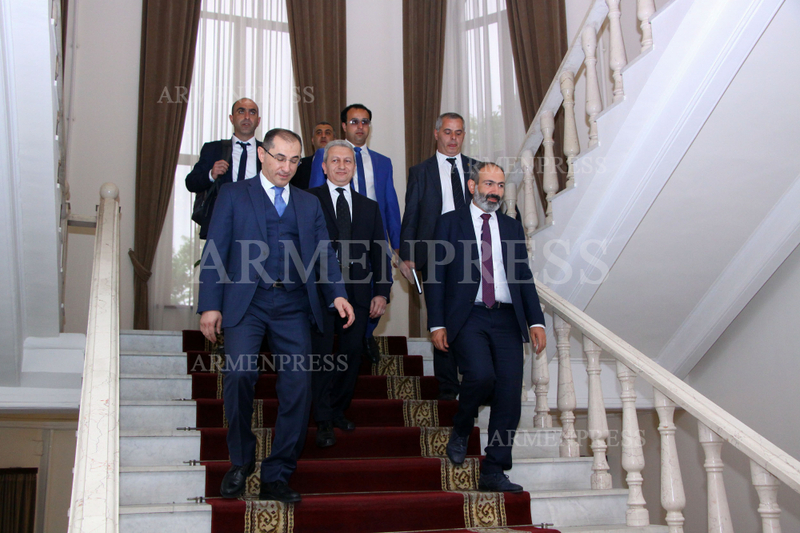 In his turn Vardan Aramyan thanked for good words and expressed gratitude to his colleagues of the ministry. 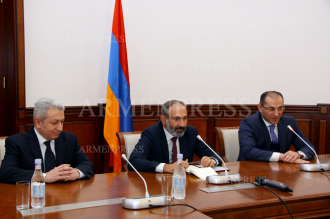 He said Atom Janjughazyan is quite familiar with the financial system. “I am ready to assist everyone on any matter”. 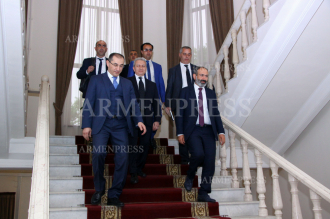 “Thank you for the opportunity to serve our homeland in this high position”, the new minister said. By the proposal of PM Nikol Pashinyan and the decree of President Armen Sarkissian, Atom Janjughazyan was appointed minister of finance on May 12.